Hardcover, 6 x 9 in. / 392 pgs / 310 color. Edited by Nancy Spector. Essays by Jennifer Blessing and Bridget Alsdorf. 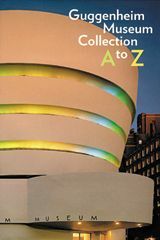 Revised, expanded and completely redesigned, this latest edition of the Guggenheim Museum's popular guide to its New York collection is a beautifully produced volume, not only a handy overview of the museum's holdings but a concise, engaging primer on twentieth-century art. Organized alphabetically, the book consists of entries on more than 250 of the most important paintings, sculptures and other artworks in the collection by artists from Marina Abramovic to Gilberto Zorio. Also included are definitions of key terms and concepts of modern art, from “Action” to “Non-Objective” and beyond. 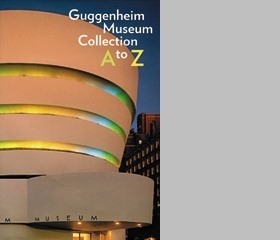 The Guggenheim Museum Collection is beloved for this wealth of masterpieces by leading modern artists, such as Marc Chagall, Vasily Kandinsky and Pablo Picasso. Reflecting the recent growth in the collection, this 2001 edition includes new entries on such artists as Matthew Barney, Robert Gober, Ann Hamilton, Robert Mapplethorpe and Cindy Sherman, among others. The text is by the museum's curators as well as prominent authors and scholars, including Dore Ashton, Gary Garrels and Rosalind Krauss. FORMAT: Hardcover, 6 x 9 in. / 392 pgs / 310 color.